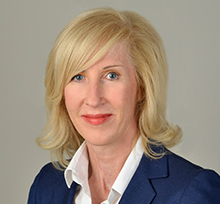 Jane Colston specialises in complex and high-value commercial banking, contract and tort disputes as well as company, shareholders and partnership disputes. Jane has acted in numerous complex fraud cases and has extensive experience of forensic investigations, most of which have involved working with teams of investigators and accountants, and coordinating lawyers in multiple jurisdictions to trace and freeze assets. She has managed numerous cases involving freezing, search, disclosure, gagging and delivery up injunctions as well as breach of confidence claims. Jane was recognized in Who's Who Legal 2018 for her asset recovery work, where she was called “one of the best and brightest in the field” according to peers who consider her “a top player” in the asset tracing space. Jane has a wide breadth of experience in domestic and international litigation and alternative dispute resolution. Jane also acts as a Supervising Solicitor appointed by the English Court in regard to the execution of search and door-step delivery up orders. Prior to joining Brown Rudnick Jane trained and then qualified into Hogan Lovells’ litigation department. She then joined Baker & McKenzie. In 2004 she co-founded the litigation boutique Masseys which was described by The Times as ‘go to’ for banking disputes. Masseys merged with Stewarts Law in 2010. A £100m commercial fraud and breach of trust case including search and freezing orders. Advising the former owners of an ex-CIS State oil company in multi-million US dollar litigation arising from the financing and sale of the company, including defending and obtaining injunctions and coordinating proceedings in several jurisdictions. Advising on substantial banking-related claims involving banks such as Credit Suisse, JP Morgan, HBOS and BNP Paribas. Acting for one of the defendants in a $300 million fraud claim, one of several pending before the High Court, allegedly perpetrated on JSC BTA Bank of Kazakhstan by its former chair and majority shareholder, Mukhtar Ablyazov (JSC BTA-v-(1) Solodchenko (2) Ereshchenko  EWHC 550 (Ch), JSC BTA-v-(1) Solodchenko (2) Ereshchenko  EWHC 1891 (Ch) and JSC BTA Bank-v-Anatoly Ereshchenko  EWCA Civ 1961). Acting for the Liquidators of Stanford International Bank Limited, Marcus Wide and Hugh Dickson of Grant Thornton in regard to the fraud perpetrated by Robert Allen Stanford and others, which resulted in Stanford International Bank Limited losing an estimated US$4.4 billion by the time it failed in February 2009. Defending two Defendants in a $287million alleged oil trading fraud (Arcadia Petroleum Ltd v Peter Bosworth  EWCH 3025). Acting for the mezzanine lenders challenging a restructuring and advancing claims against the security trustee (Saltri III Limited-v-MD Mezzanine SA  EWHC 1270). Acting for an Australian Mining Co in a contract dispute with an Indonesian mining company (PT Thiess Contractors Indonesia-v-PT Kaltim Prima Coal  EWHC 1842 (Comm)). Acting for a Plc pursuing breach of confidential information claims including obtaining emergency injunctions. Co-author of ‘Use of Committal Procedure in Commercial Fraud Litigation in England and Wales’, Who’s Who Legal, August 2015.
Review of Litigation and Alternative Disputes for Financier Worldwide’s Annual Review, December 2013. Author of ‘Keeping a Cool Head’, Solicitors Journal, 18 June 2013. Co-author of ‘Search and Seizure Orders, and the Key Role of Supervising Solicitors’, International Bar Association, International Litigation Newsletter, April 2013. Contributed to Crone's Law and the Media and International Tracing of Assets. Commercial Fraud Lawyers Association Seminar, September 2017: Jane spoke at this seminar on Supervising Solicitors and Search Orders Execution, alongside Phil Beckett of Alvarez & Marsal and Dipti Hunter of PricewaterhouseCoopers. IBA Litigation Conference, Zurich, 3-5 May 2017: Jane co-chaired panels at the conference on "New Technologies in Court (including Case Management)" and "Innovations in Litigation”. C5’s Annual Conference, Geneva, 16-17 March 2017: Jane spoke on 'Recent developments in disclosure in fraud actions' alongside Mona Vaswani of Allen & Overy. IBA Law Firm Management Conference: Jane will be speaking at “Building the Law Firm of the Future”, at this conference presented by the IBA Law Firm Management Committee. 33 Chancery Lane business Crime Conference 2017: Jane will be speaking as part of a panel discussion on “Freezing and Restraining Injunctions and Norwich Pharmacal Orders – the Limits of Disclosure Required from Suspects, Defendants and Third Parties”. Chambers & Partners UK 2019 ranks Jane in in Band 1 for Civil Fraud. Sources for the guide hail her as "one of the country's leading fraud lawyers," and as "tactically shrewd with an incredible intellect – she is a real class act." 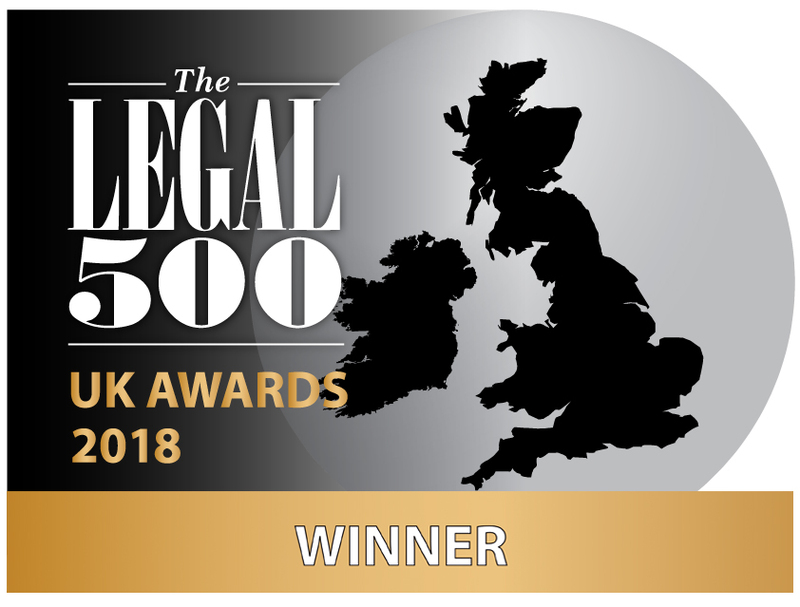 Jane is recognized by the Legal 500 UK 2019 as a leading lawyer in both the Fraud: Civil and Banking Litigation: Investment and Retail practice areas. Chambers & Partners UK 2018 ranks Jane in Band 1 for civil fraud and in Band 4 for litigation. Jane is described by market commentators as "very client-friendly and commercially minded," and by clients as someone who has "demonstrated strong ability to effectively deal with very complex and multifaceted matters under severe time pressure". Jane is also a recognized practitioner in banking litigation. She is acts for individuals, corporates and institutions in fraud cases. Jane is a Leading Lawyer in Legal 500 2017 in the field of Fraud: Civil where she is described as a "dynamic and creative practitioner" who "brings a fabulous intellect, credibility and command of the law along with incredible strategic and client-facing skills". She is also recommended in the fields of Banking Litigation (Investment and Retail) and Commercial Litigation. Shortlisted “Best in Litigation” 2017 Euromoney Europe Women in Business Law. Jane is ranked as a Leading Individual in Legal 500 2016/17 in Civil Fraud and ranked for Banking Litigation and Commercial Litigation. Legal 500 describe her as a 'highly experienced', 'outstanding ' and 'one of the standout litigators of her generation'. Who's Who Legal: Asset Recovery 2016 says "Jane Colston is "a prominent figure on the international scene" with considerable experience coordinating teams of lawyers and forensic experts in complex cross-border cases". The Legal 500 2015 names Jane as a “Leading Individual” for civil fraud. It also describes Jane as "tenacious and analytical"; a "very experienced and competent litigator" who "works tirelessly for her clients" and who "does her job 110%"; "unusually dedicated"; "a first class banking lawyer"; and "Jane Colston's clients adore her tenacity." Appears in Who's Who Legal (the International Who's Who of Business Lawyers) as one of the leading practitioners in the field of asset recovery lawyers (2012 to 2016). Selected for inclusion in the 2013 and 2014 Thomson Reuters' London Super Lawyers List. The list recognises solicitors who have distinguished themselves in their legal practice and was published in various publications (including in a supplement to both the Telegraph magazine and the Law Society Gazette). It is limited to only 5% of solicitors within London.